This Manhattan night in the spring of 2008 turned out to be extremely pleasant, without the usual suffocating humidity, so characteristic of New York. Hundreds of guests gathered on the terrace, located directly on the roof of one of the skyscrapers. Below was a view of the darkening Hudson and the flashing street billboards. For Verushka! – rushed from all sides, and the glasses moved again and again. 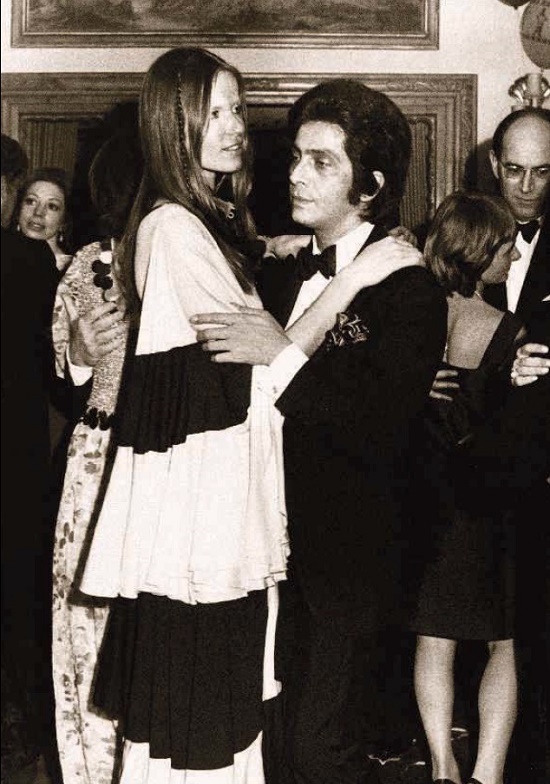 At least two hundred guests gathered, and all of them turned their heads to the giant projector, which continuously showed pictures of the times of Veruschka’s glory… The most famous 1960s model, filmed by all outstanding photographers of the second half of the century and by many directors, including Antonioni. Once seen, Verushka was impossible to forget: very thin, long, like a liana, with infinitely thin arms and legs, flexible … Unusual face framed by straight, light hair. Large, well-defined lips, thin nose and eyes – blue, motionless, and unable to laugh. The culprit of the celebration was Vera Lendorf, in a simple black dress and felt hat, as flexible, slim and elegant as in the photos, although she was almost 70. She sat at the end of a long table and, as usual, smoked one cigarette after another. It’s amazing, but her face has not changed much since those legendary times, in certain angles she could be given no more than 40! At the same time, everyone knew that Vera had not done any plastic surgery and had not trained in gyms – it was just God who gave her such a body and such a face. 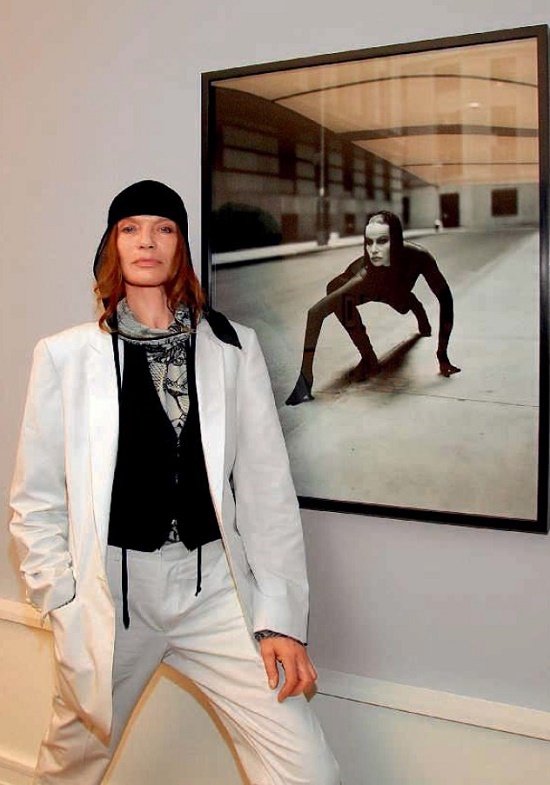 Demi Moore, Sharon Stone, Diane Furstenberg, Stella McCartney, Steven Spielberg, Woody Allen, and Robert De Niro came up to her… They all honored Veruschka today in connection with the release of the magnificent album “Veruschka” with its most well-known and have long since become classic photos. The album, which one of the guests called the monument to an unforgettable era of the sixties. 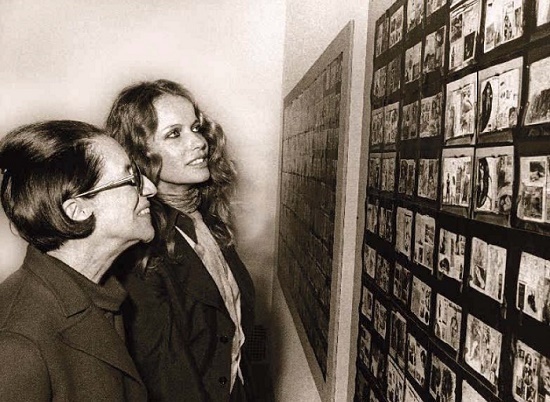 On the screen appeared a quote from Life magazine of those years: “Veruschka is undoubtedly the most beautiful woman on the planet”. Vera smoke a cigarette, smiling tightly in response to the applause and compliments. 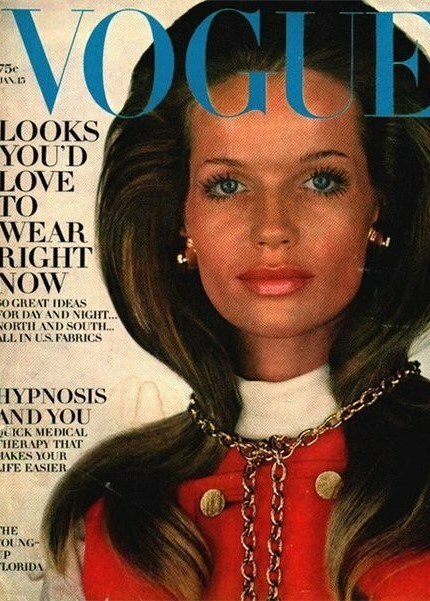 Indeed, Veruschka was the most beautiful on the planet, why not? However, none of the people gathered here in her honor even suspect how badly Verushka actually ended up. And what these people know about Vera herself? Nothing. … Already at the age of four, Vera completely lost herself, before she had time to really understand: she has no soil under her feet, no house, no roots. The tribal nest that existed for 600 years has disappeared; endless land that belonged to her family, the lake, the castle – suddenly dissolved, as the motherland itself. . . 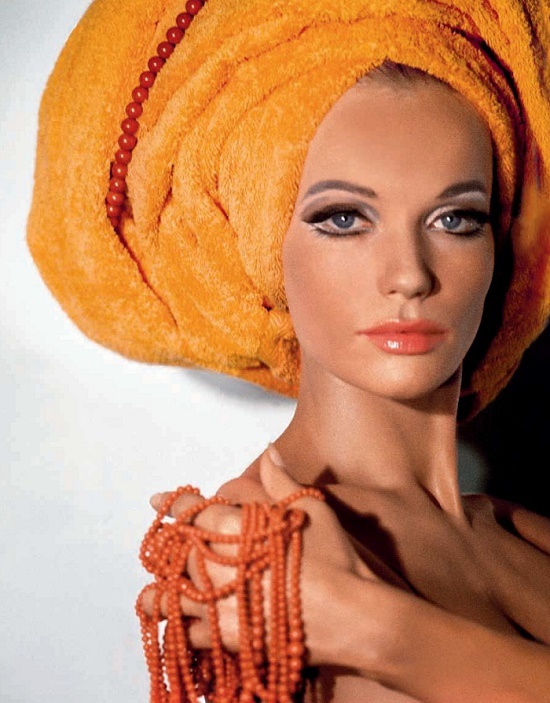 Even now, most of her acquaintances would have surprised to find out, for example, that the one they call Veruschka, in fact, wears the title Countess von Lendorf! She herself almost does not believe in it, but nevertheless she has the blood of the ancient Prussian families – German aristocrat Lehndorff, Kappelhoff, Oldenburg. Her parents – Count Henrich von Lehndorff-Steinort and his wife Countess Gottliebe von Kalnein – once owned a castle in East Prussia, in the town of Steinort, located in the Masurian Lake District, with a magnificent park, lakes and golf courses. Also, with stables with breeding stallions that regularly participated in the races. There was everything for the beautiful life of loving each other’s spouses with four daughters – Vera, Nona, Katharina and Gabriele. Governesses, entertainment, lots of pets, gastronomic delights – the Lendorfs were served by the best cook in Prussia – all this existed in order to suddenly disappear without a trace. One of the last happy memories of little Vera – as a cute, cozy, smiling uncle named Joachim von Ribbentrop gave them with Nona two charming ponies, Anton and Laura. This was in 1942, at the height of the war. In memory there were white dresses and white stockings up to the knee, in which that day mother dressed them with her sister. In the huge hall where the girls came to thank for the gift, there were important gentlemen who bowed to the children of the Lendorffs. Then Vera, of course, did not understand what a terrible idea unfolds before them. In particular, that the headquarters of Hitler’s “Wolf’s Lair” and the headquarters of the High Command of Mauerwald were located very close to the castle of Lendorff. And Uncle Ribbentrop, who had a weekly tea with her parents, was Foreign Minister of the Third Reich! And it was he who “for convenience” ordered the confiscation of the left wing of their family castle under his own headquarters. In fact, von Lendorff, as early as 1939, joined the Resistance movement after witnessing the mass murder of Jews by the Nazis. Vera and her sisters did not know that on the fateful day of July 20, 1944, their father and other members of the Resistance committed an unsuccessful attempt to end with Hitler in the Wolf’s Lair. A week before that, the children were taken to the estate of Gradits. In Vera’s memory, remained the last meeting with her father: how he stands, leaning against the window glass of the train with his cheek, and they, the children, look at him frightened from the car, wondering why he does not smile, as always? Many years later, Vera learned from her mother that the next day after the assassination of her father, SS men appeared; he noticed them, jumped out of the window and hid in the ditch. 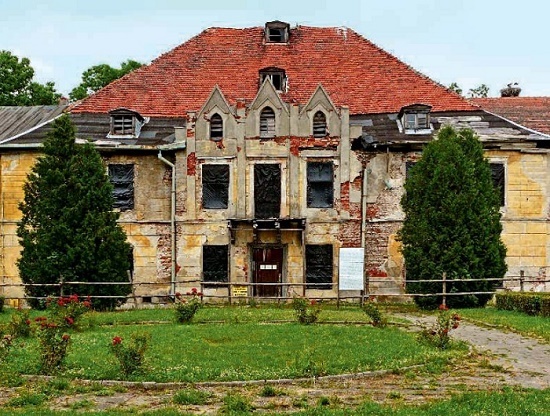 The Nazis put a gun to the temple of their mother Gottlieb Lendorff and put her in the car. Henry, of course, immediately came out of hiding, he was arrested and a few weeks later – executed in Berlin. After the release, the children were taken to another shelter, then to the third, after which they settled in a strange family. Vera almost forgot how to speak, uttered only separate interjections. Chaos reigned in her head – what happens, where the parents are, why no one mentions them? Only in 1946 the mother suddenly arrived – aged, unrecognizable and alien. She also got it – almost all this time she spent in the camp. Life in a tiny apartment in Bremen, where the family moved, was strikingly different from the past: beggarly conditions, from the window – a view of the narrow back yard and garbage dump. However, the worst thing is that the mother now lay in bed for days, turning her face to the wall; neighbors said that they were going to send her to the clinic. Once a young Vera’s teacher said at one of the lessons: – Children, among you, the daughter of a murderer is studying! Everyone began to look around and look at each other. Frau Horch threw forward her index finger, as if shooting into Vera: – It’s you! The girl rushed out of the school, on her way home two times fell on the railway crossing, with a loud cry burst into the mother’s room with the demand for explanations. The war ended in the defeat of the Nazis, but for a long time in the provinces, and not only there, people who rebelled against the Reich regime were considered traitors. This “someday” happened only years later, when Vera became a clumsy girl one meter and eighty-three cm tall, with disproportionately long arms and legs. The childhood nightmare left behind, and the only thing she dreamed about was to forget everything, and to erase the past from memory. Meanwhile, the Lendorff family moved to Hamburg for a long time, and Vera studied at an art school, choosing painting as a specialty. After a couple of months, she realized that she hated to paint the curtains with stupid patterns. Attracted only by beauty, she noticed it in everything – in faces, figures of people, design, nature, but she perceived herself as a hopeless ugly woman … Mother and sisters were classically elegant, and Vera hopelessly envied them. And her biggest grief was shoes – it was impossible to find elegant shoes for her huge feet. Mother invited a shoemaker to sew them. The idea to become a model matured in Vera’s head gradually. First, in Venice, where she went on vacation with her friend. Continuously photographed in the street by a mustachioed stranger, Vera then learned – he was a professional photographer Ugo Mulas. Vera’s photos even appeared on the covers of local magazines. This impressed the mother so much that she sought out the address of longtime friend Dorian Lee Parker, who opened a model agency after the war in Paris. If Vera knew how glamorous Paris would strike her vanity! “God, your mother was so beautiful!” – Madame Parker greeted the awkward, shy girl, frozen in the doorway… Then, “in a sign of friendship with Gottlieb” reluctantly scribbled a note to the Vogue’s Helmut Newton – famous French photographer. Presenting before Newton, she was two heads taller than him and felt like a monster-giantess in the world of harmonious, beautiful people. The next morning, having found out with whom she had had ten happy minutes, Vera looked hopefully into the same restaurant. Unshaven and handsome Roger Vadim sat at a table in the company of actress Catherine Deneuve, then still dark-haired, and sucked a cocktail. Vera shyly nodded to him and sat down at a nearby table. Vadim explained to Catherine irritably: “I just brought her to the door of the hotel-she did not stand on her feet. She’s not an actress or model, she is nobody, besides, she’s just ugly, can’t you see? Oddly enough, Vadim’s betrayal did not shake Vera at all. She’s nobody, that’s all the horror! Empty place, nothing! Surely, people who often look back at her on the street see her ugliness, that’s why they stare. But… still, why then, Vadim… Oh, yes, he was drunk. But in fact someone in Paris, perhaps Helmut Newton’s wife, June, also a photographer, told Vera that in New York they appreciate just such models as she is – very tall, thin blondes, and Vera has a chance … Sitting on a plane carrying her to New York, she suddenly realized that she was actually going nowhere. She timidly asked the stewardess where she can find a cheaper hotel in the city. Vera did not know such words as “Manhattan” and carefully spelled out the letters, repeatedly asking again. The stewardess advised a hotel “Taft”. On the day of her arrival Vera found the address of the first model agency Eileen Ford in the phone book and appeared there. Then everything turned as if it were a kaleidoscope. For some reason she was immediately taken, and only after a while did she realize that she was captured by a penniless model slavery that was very common in those years in New York. Hired for promotional photo sessions in third-rate magazines. This meant that in the morning Vera ran to some store that provided dresses for advertising, then rushed to the studio to the photographer who was shooting her in this dress. And so without end for 12 hours a day. Unfortunately, money was not enough for anything, and somehow Vera, burning with shame, asked her mother to send her $ 125 for a warm coat – everything is expensive in New York. Fashion magazines trumpeted that with Veruschka has finished her career. And how happy she was! To the reception of the main American fashion magazine Vogue Vera, who had already heard about the great and terrible editor Diana Vreeland, came completely by accident. Meanwhile, they later became friends until the death of Diana in 1983. Henceforth, the former Vera Lendorff behaved as if she had full time and work – the last thing she needed, well, unless she could afford to do someone a favor. 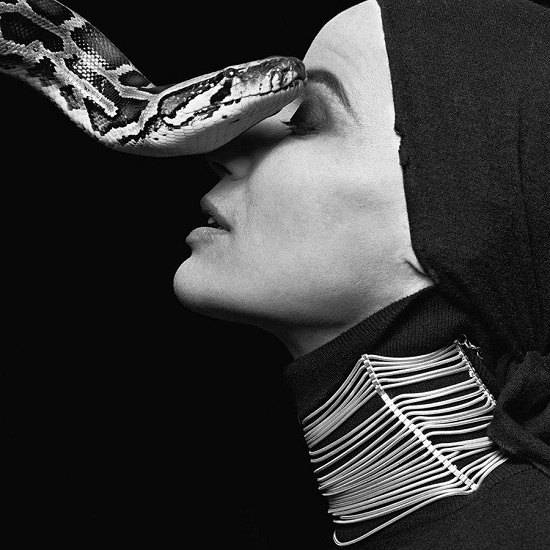 She met with the famous photographer Irving Penn. A young woman with the strange name Verushka, did not resemble anyone … Penn, without concealing his curiosity, was staring at the unusual model in all eyes. – How tall are you? – He could not resist the question. “The meter and eighty-three, and my foot is probably bigger than yours.” Verushka firmly put her bare foot next to Irving’s leg. Enchanted-dumbfounded Penn charged his camera and began shooting. He did not ask the girl to take deliberate poses, simply bypassed the unusual model and photographed from all sides. All this time Verushka sat like a sphinx, never smiling. In fact, Diana Vreeland came to the indescribable delight of the new model, and the path to the pages on the cover of Vogue opened for her. Suddenly, all photographers, who a year ago did not want to notice her, burnt with a desire to work with the mysterious Veruschka. In particular, Horst P. Horst, Irving Penn, Henry Clark, Burt Stern, and Richard Avedon … These were the biggest names in the photo of those years.